Business hours: 11.00am to 11.00pm daily. INSPIRED by its namesake, a light-hearted love drama starring Korean heart-throb Rain, the restaurant is set to make diners smile by offering them a fairy tale-like experience. It resembles a cosy home complete with lawn, cascade and chandeliers. The walls and furniture are all painted in white. There is also a roof-less purple Mini Cooper parked at the entrance to jazz up the decor. The use of glass, wood and lace curtains add an elegant touch while white old-styled lampposts illuminates a raised al fresco dining area which helps create a mellow ambience. Calling itself a lifestyle store and cafe, it has made available a line of apparel and merchandise from Korea and Taiwan. Even the menu is made to look like a magazine. This destination is also equipped with live band and karaoke facilities to cater for private functions. There are six buffet menus to choose from and a custom menu can be arranged too. The restaurant is more than just a place that pleases the eye. Its Western fare characterised by a Korean touch has attracted a good following. Australian-Grilled Rib Eye Steak with Herb Emulsion is an all-time favourite with credits given to the succulent meat and special sauce. Diners can choose from three types of sauces namely black pepper with raisin, thyme brown sauce and masala spice. ?Masala spice sauce is the latest addition and is popular among locals who prefer a stronger flavour. ?The black pepper raisin sauce, on the other hand, won a lot of praise from our regulars as it has a nice hint of sweetness and the children love it,? said Melissa Lim who runs the store in Cheras. 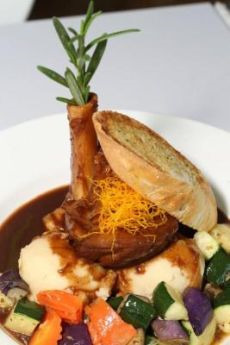 Lamb lovers can opt for the tasty and flavourful lamb shank. Tender texture: Lamb Shank with Masala Sauce. Diners are given a choice of having their shank lean, or with a bit more fat if their feeling devilish. 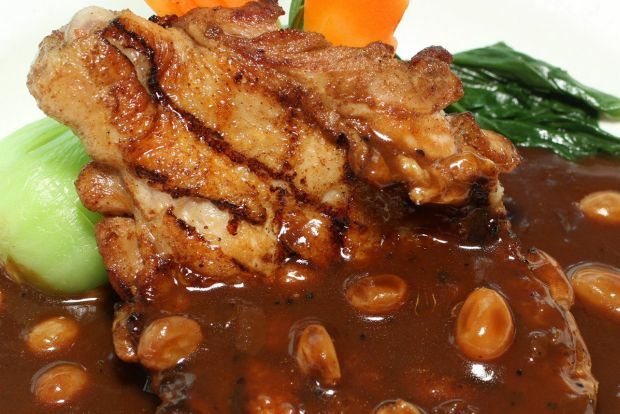 If fish or chicken is your favourite, Wok-Seared Chicken Chop with Black Pepper Raisin Sauce and Pan-Seared Atlantic Barramundi are recommended. Another plus point about this restaurant is that portions are generous. For a hearty dose of vegetables, Crispy Fried Soft Shell Crab is a hot seller, too. The dish appeals with a tangy and appetising honey lemon dressing. Sandwiches are infused with a Korean touch, as exemplified by the Bulgogi Chicken Ciabatta enriched with the sweet and tangy Korean barbecue sauce. Spicy Marinara with Seafood is no ordinary spaghetti because of its extra spicy kick loved by Malaysians. Set lunch is available on weekends, from noon to 3pm at RM13.90 to RM19.90. This is the writer?s personal observation and is not endorsed by StarMetro.